Every homeowner hopes for treats not tricks at Halloween. Should any ghouls and goblins terrorize your neighborhood on All Hallow’s Eve, Access Management Group will be right there to get your community back in tip top shape. Have no fear of toilet papered trees, smashed pumpkins, or rotten eggs… Access Management Group puts your safety first and strives to uphold the integrity of your community – the metro Atlanta property management company manages every HOA as if they live there themselves. You can rest assured that all of the “behind the scenes” business will be taken care of by AMG. Happy Halloween! Access Management Group is pleased to welcome four new communities to recently employ AMG’s property management services. 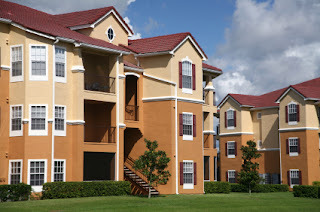 As one of the leading property management firms in Atlanta, Access Management Group proudly manages more than 200 homeowners and condominium associations. Access Management Group strives to exceed its customers’ expectations. They pride themselves in managing each community like it’s their own. Access Management Group knows you have a busy schedule. That means you don’t always have the time or resources to worry about day-to-day operations involving your condominium association. Having Access Management Group manage your COA frees you to enjoy the lifestyle and amenities your community has to offer. Access Management Group is a reliable, respected, and experienced property management firm that will oversee projects, solicit bids for maintenance, and facilitate communication between the property owners and the board of directors. The leading Atlanta property management company is involved with the community and with home owners. Your community’s property manager will be present at all board meetings and regular COA meetings. The Access Management firm is easy to reach and ready to address any questions or problems that may arise within your association. In short, Access Management Group handles everything “from A to Z” with regard to successfully operating and maintaining your community. AMG strives to improve your quality of life while managing every aspect of your COA so you can relax and enjoy the place you’re proud to call home.